Manuscript and Peer Review Submission process is by the e-mail to the izzetyavuz@hotmail.com , iyavuz@dicle.edu.tr . 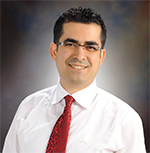 Journal of International Dental and Medical Research, a journal of the Ectodermal Dysplasia Group-Turkey, is published three times anually [or 4 times per year] to promote practice, education, and research specifically related to the specialty of dental and medical research. Manuscripts are accepted for consideration if neither the article, nor any part of its essential substance, tables, or figures has been or will be published in another journal or is simultaneously submitted to another journal. 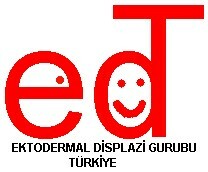 Published papers do not necessarily represent the views of the editor, the Ectodermal Dysplasia Group-Turkey. The journal publishes full-length scientific articles not exceeding 8 printed pages (20 double-spaced 8 1/2×11-in document pages; font no smaller than 12-point Times New Roman or Arial); and clinical articles and case reports not exceeding 4 printed pages (10 double-spaced 8 1/2×11-in document pages). Authors are encouraged to review these Instructions carefully prior to submitting their manuscripts. Submission of manuscripts to the Journal of International Dental and Medical Research is via e-mail, also hard copy with electronic record submissions will be accepted. Submitting authors must provide all information requested during the submission process, including: corresponding author’s contact information; names, titles (such as “associate professor,” “chairman,”), academic degrees (such as”DMD,” “MS,” “PhD,”) , and affiliations of all authors; short (running) title; and 2 to 5 keywords. Honorary designations should not be included (eg, “FRCS,”, “FICD”, “Diplomate, ABPD,” etc). Authors should ensure that the keywords appear in the U.S. National Library of Medicine Medical Subject Headings, or “MeSH” (found at http://www.nlm.nih.gov/mesh/.). Both an UNBLINDED and BLINDED version of the manuscript must be sent to the journal. Tables and graphs should appear at the end of the main document, while photos and photomicrographs should be submitted as separate files (.jpg or .tiff format). Prior to submission, the corresponding author must guarantee that the article has not been published, and is not being considered for publication elsewhere. Submission of multi-authored manuscripts implies participation of each of the authors in the preparation of the paper. Only individuals who have made a significant contribution to the study or manuscript should be listed as authors. The efforts of others should be noted in the Acknowledgments section at the end of the manuscript. 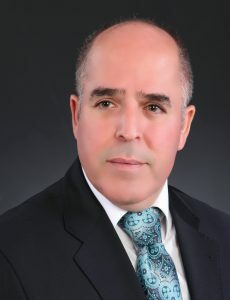 The corresponding author should submit the following statement: “All authors have made substantive contribution to this study and/or manuscript, and all have reviewed the final paper prior to its submission.” Authors (including authors of letters to the editor) are responsible for disclosing all financial and personal relationships that might bias their work. If such conflicts exist, the authors must provide additional detail in the letter to the editor. Funding sources for the work being submitted must be disclosed in the Acknowledgments section of the manuscript. Scientific articles should be organized under the following headings: Abstract, Introduction, Methods, Results, Discussion, Conclusions, Acknowledgments, and References. Titles of all papers should not exceed 15 words. The Introduction section should include only pertinent references. When included for a study, the Methods section should be sufficiently detailed to replicate the study. The Results section should include only results and not discussion of the data. The Discussion section should discuss the results, but not repeat them. The Conclusions section should consist of succinct, numbered statements that are supported by the results of the study. They should not repeat the Results section. Abstracts: All submissions must include an abstract. Abstracts should be brief providing the reader with a concise but complete summary of the paper. Generalizations such as “methods were described” should not be used. Scientific articles should have approximately 200 words . Key Words: Submitting authors must provide 2 to 5 keywords from http://www.bilimterimleri.com . Editorial style: Papers will be published in English, using American spelling. Manuscripts must be submitted with proper English grammar, syntax, and spelling. Authors should express their own findings in the past tense and use the present tense where reference is made to existing knowledge, or where the author is stating what is known or concluded. Footnotes should be avoided and their content incorporated into the text. Numbers should be represented as digits; only numbers beginning a sentence should be spelled out. The editors reserve the right to revise the wording of papers in the interest of the journal’s standards of clarity and conciseness. unless reporting English units from a cited reference. Figures and tables should use SI units, with any necessary conversion factors given in legends or footnotes. All numbers should be expressed as digits, and percent values should be expressed as whole numbers. Laboratory data values should be rounded to the number of digits that refl ects the precision of the results and the sensitivity of the Measurement procedure. Tooth names: The complete names of individual teeth should be given in full in the text of articles using the following convention: [primary/permanent] [maxillary/mandibular] [right/left] [central/lateral or first/second/third] [tooth type]. Examples: “primary maxillary right first molar,” “permanent mandibular first molars,” but “mandibular right second premolar.” In tables these names may be abbreviated by the Universal system (A-T for primary teeth, 1-32 for permanent teeth). Abbreviations: Abbreviations should be used to make manuscripts more concise. The first time an abbreviation appears, it should be placed in parentheses following the full spelling of the term (eg, “…permanent first molars (PFMs)…”). In manuscripts using more than three abbreviations, authors should use bold typeface for the first appearance of each abbreviation. Permissions: For materials taken from other sources, a written statement from the authors and publisher giving permission to Journal of International Dental and Medical Research for reproduction must be provided. Waivers atric and statements of informed consent must accompany the manuscript when it is submitted for review. Waivers should accompany any photograph showing a human subject unless the subject’s features are blocked enough to prevent identifi cation. Figures: Graphics/photos should be provided at a minimum resolution of 600 dpi as a .tif or .jpg fi le. Photomicrographs must include a scale labeled with a convenient unit of length (eg, 50 µm). Figures should be inserted at the end of the main Word document. Figures should be numbered in Arabic numerals in the order of the first citation in the text. Legends for each figure must be printed on a separate page. Include a key for symbols or letters used in the figures. Figure legends should be understandable without reference to the text. A key for any symbols or letters used in the figure should be included. Abbreviations should be explained in a footnote to the figure. If illustrations, tables, or other excerpts are included from copyrighted works the author is responsible for obtaining written permission from the copyright holder prior to submitting the final version of the paper. Full credit must be given to such sources with a superscript reference citation in the figure legend. Reference citations in fi gure legends or captions should follow numerically the reference number in the text immediately preceding mention of the figure. Figures take up additional page space and should be limited to those that add value to the text. Tables: Tables should be double-spaced, appear on separate pages, and should be titled and numbered in Arabic numerals in the order of the fi rst citation in the text. Short headings should appear at the top of each column. Explanatory matter should be placed in captions, not in the title. For footnotes, use the following symbols in this sequence: *, †, ‡, §. Tables should be understandable without alluding to the text. Due to space limitations, only tables adding value to the text should be included. Acknowledgments: Funding and other sources of support must be disclosed in the Acknowledgements section. Personal acknowledgments should be limited to appropriate professionals who have contributed intellectually to the paper but whose contribution does not justify authorship. References: References should be relevant to the material presented and identifi ed by superscript Arabic numerals in the text. A list of all references should appear at the end of the paper in numeric order as they are cited in the text. Journal abbreviations are those used by Index Medicus. Reference style is that used by the Journal of the American Dental Association (http://www.ada.org/prof/resources/pubs/jada/authors/auth_general.asp as #style). Journal: Stephane A. Management of Congenital Cholesteatoma with Otoendoscopic Surgery: Case Report. Turkiye Klinikleri J Med Sci 2010;30(2):803-7. For journals, list all authors when there are 6 or fewer; when there are 7 or more, list the first 3, then “et al.” Page numbers should be elided where possible. For example: 12-8, 347-51, 191-5. Book: Bixler D. Genetic aspects of dental anomalies. In: McDonald RE, Avery DR, eds. Dentistry for the Child and Adolescent. 5th ed. Philadelphia: CV Mosby Co;1987:90-116. Article, report, or monograph issued by a committee, institution, society, or government agency: Medicine for the public: Women’s health research. Bethesda, Md. : U.S. Department of Health and Human Services, Public Health Service, National Institutes of Health; 2001. DHHS publication 02-4971. World Wide Web: Ectodermal dysplasia cases and main targets. Available at:“http://portal.ektodermaldisplazi.com/index.phpmod=article&cat=Pedodonti”. Accessed January 21, 2008. Authors citing material from the World Wide Web should use WebCite (www.webcitation.org), a free service for org authors who wish to archive their Web references to ensure that cited Web material will remain available to readers in the future. Web citations archived on WebCite will not disappear in the future. Authors should provide direct references to original sources whenever possible. Avoid using abstracts as references. Avoid references to papers accepted but not yet published, if possible. If such a citation is necessary, these papers should be cited as being “in press,” and verification that they have been accepted for publication must be provided. the individual providing the information and the date of communication should be provided in parentheses in the text and not as a numbered reference. Authors should obtain written permission and confi rmation of accuracy from the source of a personal communication; this permission should be submitted as a supplementary document at the time of manuscript submission. Authors should verify the accuracy of all references and are responsible for ensuring that no cited reference contains material that was retracted or found to be in error subsequent to its publication. Copyright: All authors must agree to the terms of copyright transfer as indicated along with the manuscript submission process. The Ektodermal Displazi Gurubu Türkiye owns copyright of any contribution, and its licensees have the right to use, reproduce, transmit, derivate, publish, and distribute the contribution, in the journal or otherwise, in any form or medium. Authors will not use or authorize the use of the contribution without the Ektodermal Displazi Gurubu Türkiye’s written consent, except as may be allowed by world fair use law. Associate Editor and DirectorAssoc. Prof. Dr.